If you're tired of fighting tourists to get into the Houston Zoo or hate poking through a crowd to read the labels accompanying the exhibits at the Houston Museum of Natural Science, here are few hidden treasures on some Houston attractions scene that are sure to be just as interesting but way less crowded. The Printing Museum is exactly what you think it is and somehow so much more. Travel back in time by visiting the Hearst Newspaper Gallery, which displays early newspaper equipment, including a 20th century linotype machine, or see a demonstration of the earliest movable type on a replica of Johannes Gutenberg’s printing press. Also, view more contemporary works like the Arabic Graffiti exhibit and the Artist Eye exhibit, which showcases the work of three Houston artists— Penny Cerling, Patrick Palmer and Arthur Turner. The Printing Museum is exactly what you think it is and somehow so much more. Regular admission is free, but the Museum offers guided tours at 2 p.m. on Wednesdays and Saturdays for a price ($7 for adults, $3 for students and $5 for seniors). Feel like you've traveled to another country when you visit the BAPS Swaminarayan Sanstha Madir Temple in Stafford. The Hindu temple, built with Turkish limestone and Italian marble in 2004, is a massive architectural curiosity worth visiting. The massive, pearly-white temple is spread out over approximately 26,000 square feet and constructed from 33,000 individual stones carved and prefabricated in India and then put together by members of Houston's own Hindu community. 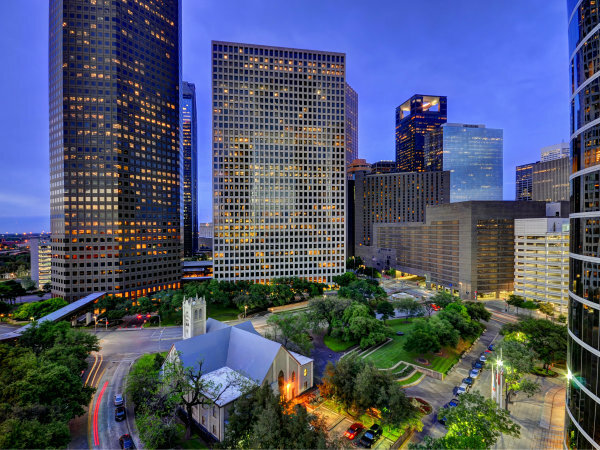 Its beautiful domes, archways and the intricate designs on each stone make visitors feel they have left Houston. The temple also features the Understanding Hinduism exhibition, showcasing beautiful Hindu art, calligraphy and Indian history. Admission is free; visitors may tour the temple between the hours of 7:30 a.m. and 8:45 p.m. However, a dress code (shorts must be knee-length or longer, no tank tops) and other rules (no cellphones, food, or drink) are strictly enforced. Don't worry, you won't need a Red Bull to stay awake, because the displays at the National Museum of Funeral History are sure to excite the history buff in all of us. With exhibits memorializing everything from extravagate celebrity funerals and "Snow White's coffin" to a replica of the Tomb of the Unknowns in Arlington National Cemetery, this museum makes commemorating the tradition and history of funerals much more interesting than it is morbid. Admission is $10 for adults, $7 for children, and $9 for veterans. Every day many Houstonians drive past this little gem, "hidden" smack-dab in the middle of downtown. Though they know the park is there, most take for granted its treasure of historic houses and rich cultural artifacts. The park is open daily from dawn to dust. Admission to the park and museum gallery are free, but visitors cannot tour the inside of individual buildings unless accompanied by a docent. Answering the Call to Serve, commemorating the centennial anniversary of World War I and featuring artifacts from Camp Logan in Houston, is currently on display in the museum gallery. The Heritage Society offers guided house tours on Tuesdays at 10 a.m. and 11:30 a.m., and Saturdays at 1 p.m. and 2 p.m. Guest may choose four from any of the nine open houses at the park. Tours cost $15 for adults, $6 for children and $9 for seniors. 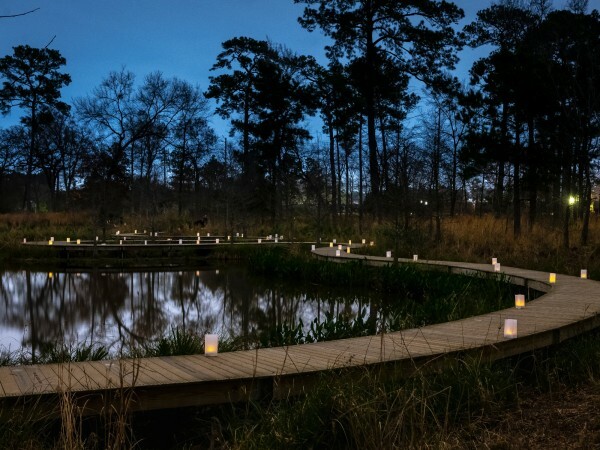 Tucked away on the Rice University campus, adjacent to the Shepherd School of Music, is the “Twilight Epiphany” Skyspace, designed by world-renowned artist James Turrell. The base of the structure is shaped like a pyramid with benches lining the inner walls, seating up to 44 people. On the upper level, seating for up to 76 people is also available. Just before sunrise and sunset, a 40-minute light sequence plays on the white 72-foot squared roof and the square cut-out in its center for an astonishing and captivating experience. The skyscape is open from 5:30 a.m. to 10 p.m. daily except Tuesdays. Admission is free, but a reservation is required for the sunset showings. What hidden Houston attractions do you love? Let us know your own picks in the comments section below.